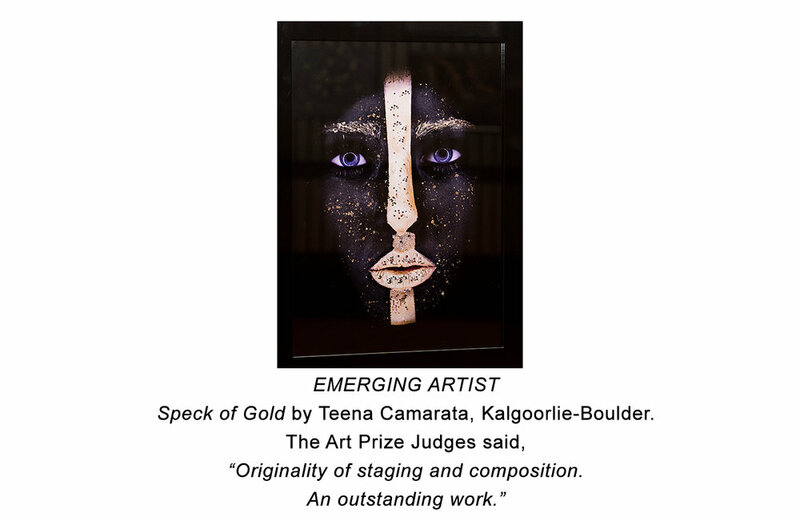 The winners of the City of Kalgoorlie-Boulder 2018 Art Prize were announced at an awards evening at the Goldfields Arts Centre last month. The annual event took a new direction this year, offering a major $20,000 acquisition prize with artists having to submit work to a theme of gold. The City’s Overall Gold Award was presented to Christine Carmody (right) by Premier of Western Australia Mark McGowan. Ms Carmody was awarded the top prize of $20,000 and is invited to display a full exhibition in the Goldfields Arts Centre Gallery. 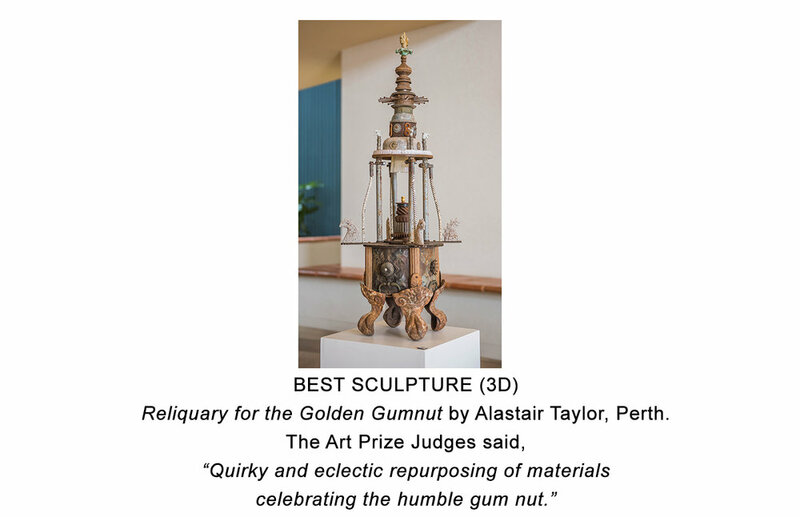 “The Art Prize was judged by three leading Western Australian arts industry figures, Andrew Frazer, Kado Muir and Lyn Di Ciero. The Art Prize had over 200 entries this year,” said City of Kalgoorlie-Boulder CEO John Walker. “The high standard of work made the judging a difficult task, and as you can see the winners all displayed beautiful skill and technique in their mediums. “The Art Prize is a great event to showcase the City’s local arts and culture industry. It is vital that the City caters to the needs of all residents, and provides local artists of all ages and cultural backgrounds an opportunity to express themselves,” said Mr Walker. 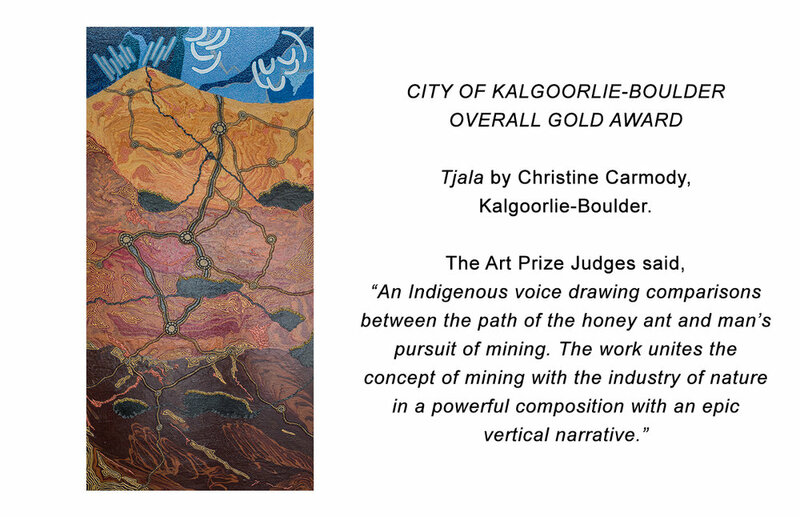 The City of Kalgoorlie-Boulder 2018 Art Prize was proudly sponsored by GIG members AngloGold Ashanti Australia, Norton Gold Fields, Evolution Mining, KCGM and Kalgoorlie-Boulder Chamber of Commerce & Industry.